No, that is not a spelling error, it really is called Rock & Sole “Plaice”! Who knew when I was booking a place to stay in London that it would be around the corner from the oldest fish and chips shop. 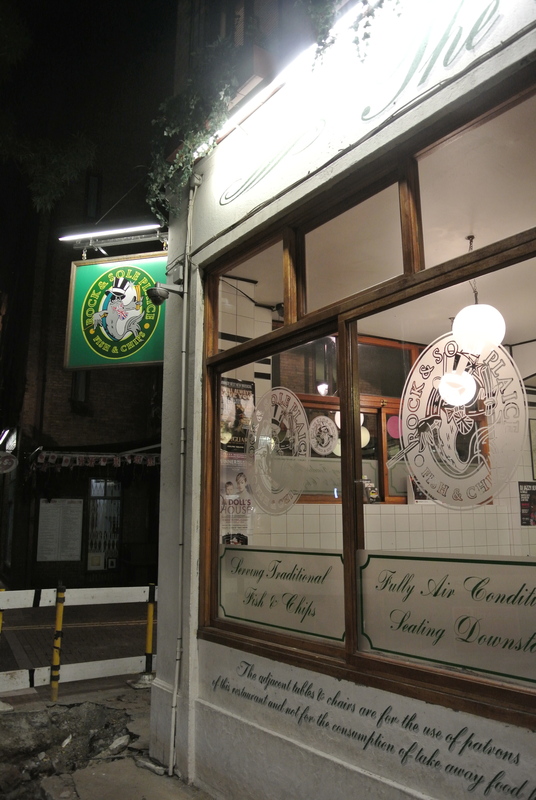 Yes, the Rock & Sole Plaice has been around since 1871 and on a late night snack run, we decided it was a perfect chance to get some traditional fish and chips. We snuck in just before close and quickly learned that the halibut was sold out. However, the menu was pretty extensive – its the first time I’ve seen scampi, skate and steak & kidney? At a fish and chips joint to boot! I went with traditional cod and chips. And if you like ketchup with your fries, you won’t find that here. Its only vinegar and/or salt for your chips! 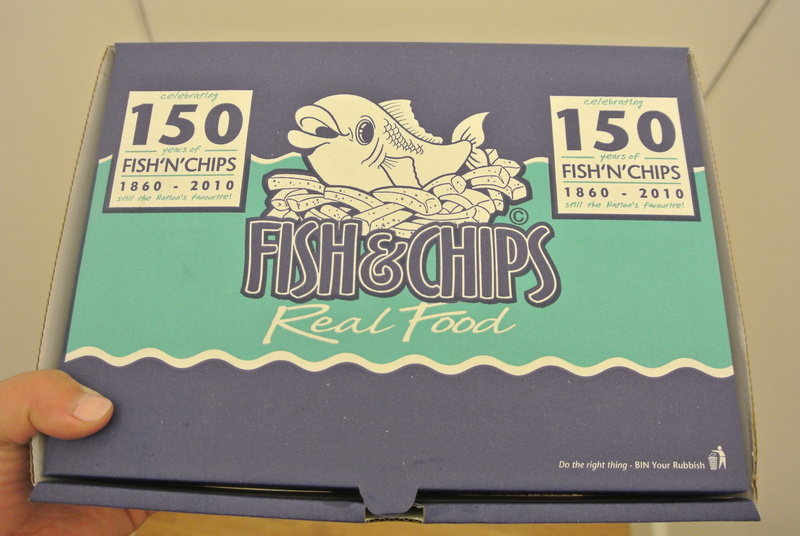 Good thing my fish and chips came in a box that was strong enough to stand up to all the vinegar I like to pour on my chips. 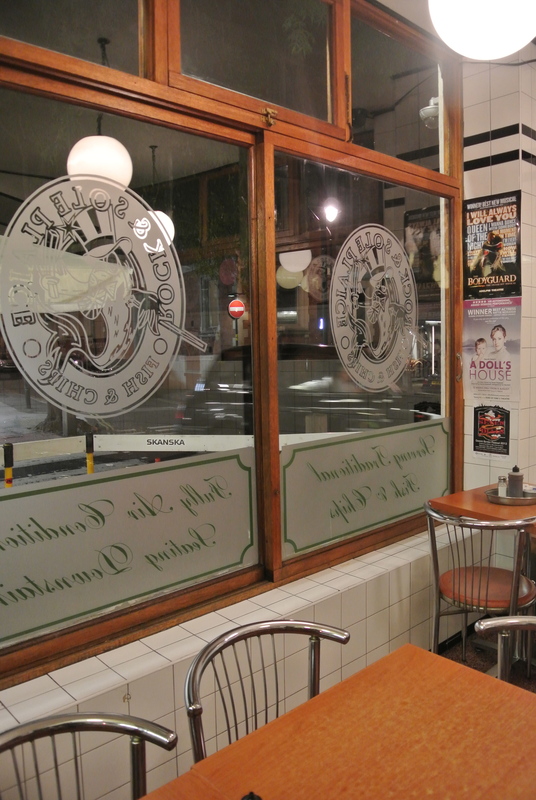 The fish was meaty and delicious with a crispy batter coating – exactly what you would expect from a good British fish and chips shop! 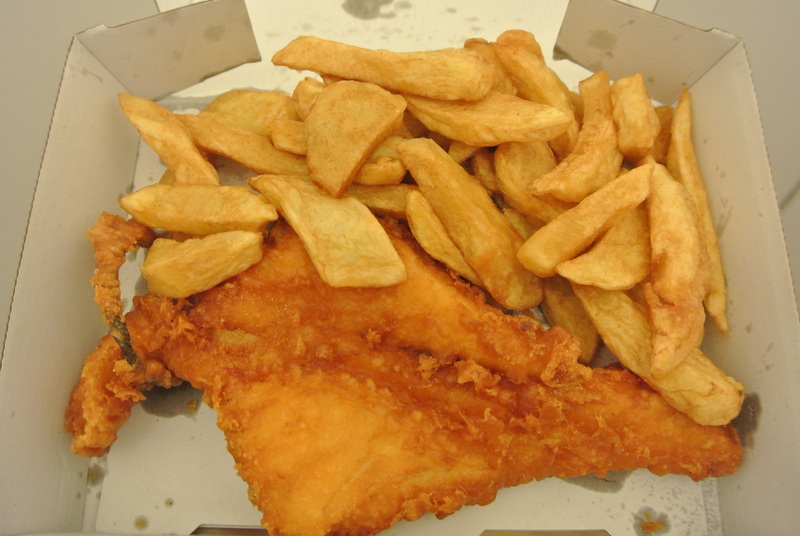 Regular sized Cod and chips for take away. 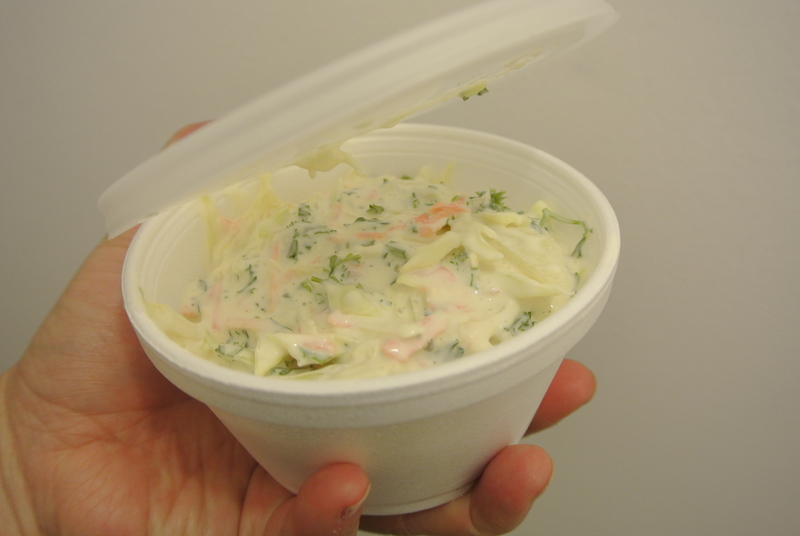 Purchased a side order of coleslaw. 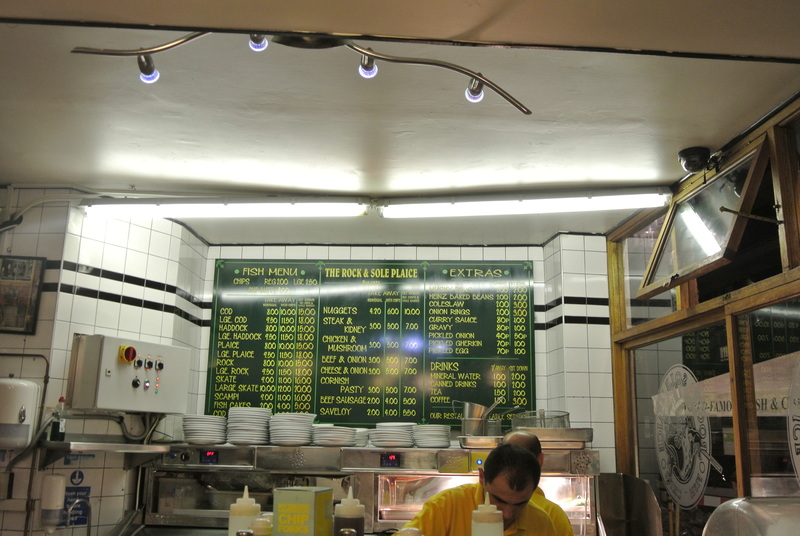 The extensive menu at Rock & Sole.